What are the chances that Orcus might have a subsurface ocean? It is becoming interesting that so many dwarf planets could potentially harbor these oceans. This could make them a surprising new class of “water worlds” that could be potential locations for microbial life. Regarding the number of planets in our solar system, readers should also consider other sources, such as the Great Planet Debate at http://gpd.jhuapl.edu/ . Not sure if your comment refers to my oceans question or my reference for another view on the planet debate. The references at the end of your articles are consistently biased in favor of Mike Brown and one particular view in the ongoing debate over what a planet is. Posting Mike Brown’s website info doesn’t seem like a biased approach, considering he was directly responsible for making these discoveries. And my comment was in reference to the Great Planet debate. The controversy is something I refer to in every article about dwarf planets and how the IAU’s definition was not accepted by all. In spite of that, you keep writing to tell me we’re not giving a balanced appraisal of the picture. The discoveries were actually made by a team, with the other two members being Chad Trujillo and David Rabinowitz. It would be great if you could post links to their writings as well and to those of other planetary scientists who study these objects. Brown’s constant meme of having “killed” Pluto is unprofessional; he also is known to make statements that are not quite accurate, such as his claim that most planetary scientists accept the IAU definition when this is not the case. Your articles are very good at affirming the ongoing debate; it’s the references at the end that could be improved by representing a variety of perspectives. That is why their names are mentioned in the article. And since neither have websites that contain similar writings – Trujillo’s is minimal and Rabinowitz doesn’t have one – this seems like an entirely moot point. I suggest planetesimals require a stellar or giant planet resonance (pressure dam) against which to compress in-falling material from a protoplanetary disk or debris disk to undergo GI, whereas Bok globules can undergo Jeans instability directly to form stars. So Pluto and Orcus ‘condensed’ in situ against Neptune’s 3:2 resonance, which I suggest occurred from a secondary debris disk which arose from the ashes of the 542 Ma binary spiral-in merger of our former binary brown-dwarf Companion to the Sun, whose asymmetrical merger gave the Companion escape velocity from the Sun. Condensation of a young debris disk explains Pluto’s geologically young surface and Cares’ low crater count, having formed not long before the first trilobites arose. Always like your stuff, Matt. Concise, descriptive, and most informative! Cant wait to read what you have coming next? Salacia, Ixion, Varuna, Varda, and Chaos are all jealous of the PR we have been receiving. Animation of the 3:2 resonances Pluto and Orcus have with Neptune. I wonder if it’s appropriate to pre-classify things like this in an article title: “Although Orcus has not yet been officially categorized as a dwarf planet by the IAU, many astronomers agree that it meets all the requirements and will be in the future”. ‘Many astronomers’ do not an authoritative body make. Science does not need an “authoritative body.” Imagine if such a body back in the 1920s decided to resolve the debate over whether the universe consists of one galaxy or many simply by issuing a decree. The only authorities of significance are the data. If we know the mass and size of an object, or at least have a good estimate of them, and these inform us the object likely is in hydrostatic equilibrium, then it is reasonable to conclude that object is a dwarf planet. We don’t see anyone claiming a need for an “authoritative body” to confirm every exoplanet discovered. If, as in some cases, a discovery turns out to be false, subsequent research will indicate that. The same is true for the designation of dwarf planets. We are really digging these articles out here in the Kuiper Belt, especially the ones about the potential dwarf planets. This is by far the best one yet. Quaoar,Sedna, Salacia, 2007 OR10, 2002 MS4 and I have been hanging out on the #dwarfplanet watchlist(purgatory) for 9 years. 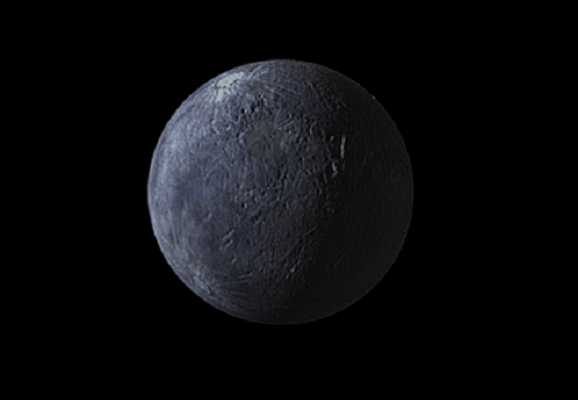 Both Mike Brown and Dr. Tanzalo have said we are almost certainly Dwarf planets. Haumea and Makemake were promoted with less data about them then they have about Quaoar, and I now. Its not going to hurt the little growing minds of our school children to learn a few extra names, as they are capable.